PacMARS is the Pacific Marine Arctic Regional Synthesis project, a research synthesis effort funded by the North Pacific Research Board whose goal is to provide guidance for scientific research needs in the region, as well as to serve stakeholder needs for understanding this important ecosystem and its vulnerabilities. PacMARS focuses on facilitating new synergies in the understanding of the marine ecosystem in the greater Bering Strait region, extending from Saint Lawrence Island in the Bering Sea through the Bering Strait into the Chukchi and Beaufort Seas. Existing data sets which are critical for evaluating the current state of knowledge of this marine ecosystem, including human dimensions, are identified and synthesized into this data archive. The PacMARS effort will contribute to NPRB's overall mission to promote the understanding of north Pacific ecosystems in order to help enable effective management and sustainable use of marine resources, from subsistence use to fisheries to industrial exploration and development. PacMARS is working in collaboration with other knowledge synthesis efforts, such as Arctic Research (SOAR) that is underwritten by the Bureau of Ocean Energy Management (BOEM) and the National Oceanic and Atmospheric Administration (NOAA). This data archive provides access to all PacMARS data. Welcome to the archive! 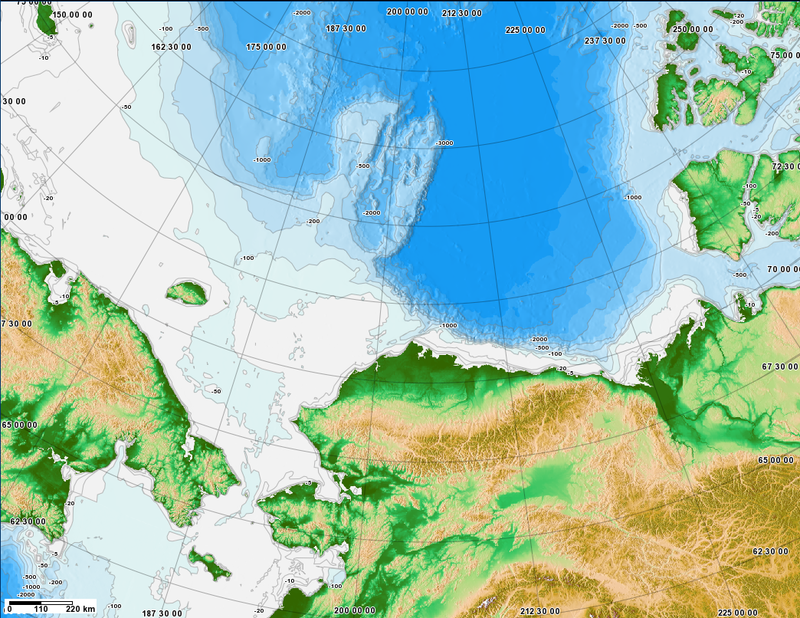 The PacMARS project area in the Pacific Arctic region extends from St. Lawrence Island in the northern Bering Sea over the Chukchi Sea westward to 180° and eastward in the Beaufort Sea to 135°W. The northern limit extends to 75°N. The PacMARS raw data sets will sometimes include data in the Pacific area beyond those boundaries (e.g. south of St. Lawrence Island and into the Eastern Siberian Sea), but the core project area is as described above. Mapserver The PacMARS mapserver contains a layer indicating the project area as represented with a bounding box. This layer is turned on by default. To turn off this layer, uncheck the layer labeled “PacMARS Study Area” under the “Base Layers” group in the left-hand side of the page.